It’s now conventional wisdom that newspapers are dying, and the only debate left is when, not if. According to this recent prediction by futurist Ross Dawson, in the U.S. we’re looking at roughly 2017. But what does that mean exactly? It certainly doesn’t mean the death of news, just a change in the form we consume it. What does that mean for news organizations? On these questions, the future is a bit murkier. 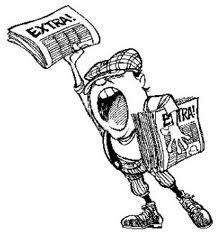 People are demanding and consuming more news that ever, through a plethora of sources both on and offline. Free papers such as alternative weeklies and college newspapers are still maintaining high levels of readership while paid circ continues to drop. Much of what you find online is repackaged and recycled news that is still being assembled by your local fish wrap factories, despite their declines. How journalism is supported as a business as eyeballs move online is the fundamental problem the industry will continue to wrestle with over the next few years. Advertising will continue to be a part of the business model, but paid premium content, micropayments, online/tablet subscriptions and other revenue sources should increasingly become a part of the mix as traditional print ad revenue falls. Are you with a college newspaper, or an alternative weekly? What have you been doing to stay relevant and prevent your eulogy from being written? A lot goes into planning a college newspaper advertising campaign. Despite what you may hear about newspaper readership in the general market, printed college newspapers are still widely read by students on campus. Why? Because the content is unique and relevant to their bubble of campus life. Go to any major campus in the U.S., and you will see students checking out the latest sports feature between classes or doing a Sudoku in lecture. College newspaper advertising is one of the few traditional advertising channels that still work for reaching college students. Seventy-nine percent of college students have reported reading an issue of their campus newspaper in the past week. Campus Media Group got its start in college marketing more than 10 years ago placing advertising in college newspapers for national brands and their ad agencies. 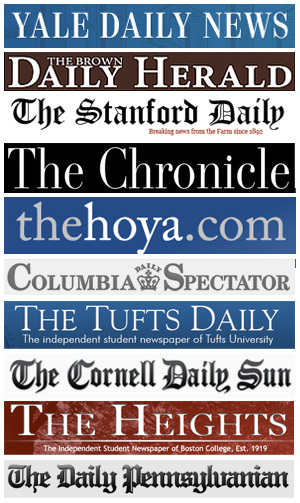 We continue to help brands place multi-campus newspaper buys today. Through this experience, we have developed some good tips for you to consider when placing ads in college newspapers. Frequency trumps school reach – You have a budget, but if you spread it across too many schools, you may not get noticed. The most successful college newspaper advertisers select a few schools on which they want to build their brand, and they advertise there regularly throughout the semester. Don’t forget, you may get a discount for running multiple times. Timing – Check the academic calendars of the schools at which you are advertising. Avoid placing ads during busy times like midterms or during vacation weeks (i.e. Spring Break). Students may be in study mode or may not be around campus during these times. Traditions – Look at school traditions, annual campus events and festivals, or other unique special issues the campus newspaper may be publishing. Positioning your advertising among the excitement and even tying your creative in to the campus event or school tradition will get you noticed and give you a local feel that will resonate among students. Color – Use color whenever possible. You will pay a higher rate for color advertising, but doing so helps your ad stand out among other advertisers. Using color may even get you better positioning in the paper (i.e., page 2 or 3 or back page) due to how newspapers are printed. Inserts – If you are looking for an alternate way to advertise in college newspapers, think about placing free standing inserts (FSI) in the paper. Not all college papers accept FSIs, but most major university newspapers will. FSIs can be anything from a single-sheet coupon circular to a multi-page brochure. Some newspapers will even allow you to insert a flat product sample. FSIs offer you a way to control your creative and produce something useful students can take with them. If you need help placing advertising in college newspapers, contact us today. Our experienced staff can assist you in making sure you choose the right newspapers, timing your buy, and ensuring that your advertising dollars are used effectively. Call 952-854-3100. Campus Media Group is proud to announce that The Campus Buzz will be co-sponsoring this year’s annual PSA program. The Campus Buzz is a college news feed service bringing readers the best in campus news from around the country. Topics include higher education policy, technology, sports, health, career, money and more. By partnering with The Campus Buzz, we hope that this year’s PSA winner will receive the maximum amount of reach on college campuses. Not only will the winner’s message appear in approximately 100 college newspapers nationwide, it will also stream to over 1,900 Campus Buzz subscribers. The winning cause will also receive press via Twitter and Facebook to over 3,000 followers and fans. Every year, Campus Media selects one organization that has an important cause or awareness message it needs to share with students. Campus Media will work to have that organization’s ad placed in some of the nation’s top college and university newspapers free of charge for the 2009-2010 academic year. Campus Media has worked to build awareness for organizations such as: amfAR, The Campus Kitchens Project, National Council on Problem Gambling, The National Psoriasis Foundation, and the Komen Foundation. This program is open to nonprofit organizations that are not currently represented by an advertising agency. Those organizations looking for national exposure to a college audience about a cause that will resonate with students are encouraged to apply. Download your application here and return by August 17, 2009. Receive our posts by email. Send future posts to my inbox.